When we read about Toast and Roast from Boo’s site, we were pretty excited. Cumi and I took a drive down to the place to have a look at it. Since it was a Weekday night, it was pretty much closed. As stated on her blog, Toast and Roast is only open from early in the morning, 8.30 am til around 4pm. We came back the next day for lunch – die hard! We met the owners who are a lovely energetic pair. The husband and wife team, Angie and Sean are really charming. Angie is Thai and used to be in the hotel line. Sean is the Cook of Toast and Roast. Well, you can see from the photo that we ordered the large plate of Charsiew (BBQ Pork) and the texture was soft and succulent in the centre, sweet and caramalized on the outside. The flesh was lacking in aroma somewhat but overall, this charsiew was definitely above average. This large bowl of Hakka noodle was massive! It came with loads of ingredients too and was satisfying. Cumi likes his Hakka noodles rougher with more bite, but it was good for me. There’s a ‘turbo rice’ as well – combination of charsiew, siew yoke (roast pork) and chicken priced at RM7.00 and all sorts of other permutations of these few meat items. Grand! 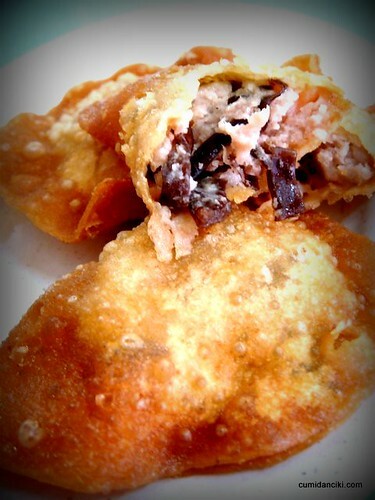 The fried sui kau(dumpling) on the house – not bad but not great. The soup dumpling was delicious! We loved this because it was huge with tons of meat and vegetable stuffing in it. They also serve an excellent leongchar (herbal tea) here made with Lemongrass. Don’t forget to try this. Angie also told us they get asked a lot – “where is your toast”? “Do you do tea?” . Well, she says laughingly that no, they don’t do toasted bread and tea yet , but they soon will in the near future. For now, Toast and Roast just means, Toast – they toast the Charsiew, and Roast – they roast the chicken. Cute! Thanks Boo for the tip. We will definitely be back. The Hakka Mee was like huge~~~!! yar, its really very big for 5.50 ! yeah, when i first heard this name, i thot they’d specialize in toasted bread too! errmmm char siew is toasted ar? but not in the same device that’s used to toast bread, rite??! Yeah where’ the oven! Show me the oven! After reading both Boo’s and yr posts, definitely must go when we are back!! Hope they are open around CNY time as they are just round the corner from my in laws! Hmm.. any close landmark I could refer? Wonder why I never notice this place. 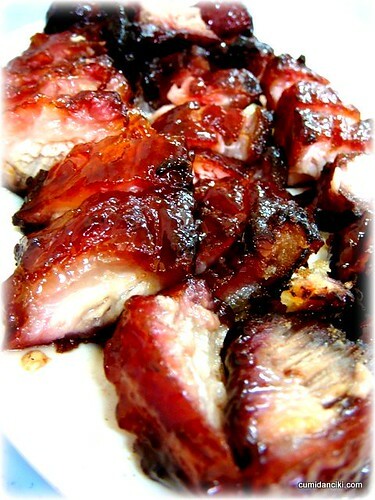 agreed wif u, d char siew is above average. 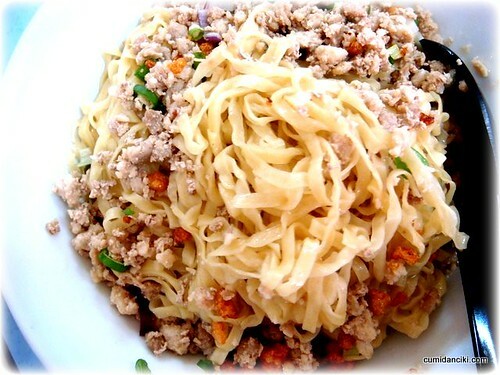 But, i luv d hakka mee wif lotsa minced pork. Where’s your fav place.. would love to try .. any good hakka noodles is always welcome! Glad u liked the place! I love the serenity of it (at the moment), makes it easier to get my char siew fix. Char siew is toasted? I was pretty sure I’d chuck it into the grilled or roasted category if pushed for an explanation. Ahh, the fine things I learn from food blogs! LOL, that’s the owners explanation lor – maybe to stop ppl fm asking bout toast at the moment! yup2.. u liked it too rite? LOL..
oooh… I’m salivating looking at the roasted charsiew!